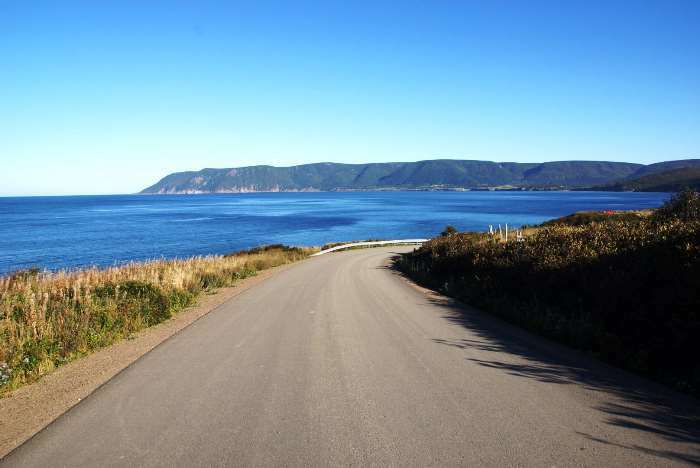 Driving around the Cabot Trail is pretty great, but at some point, you’ll probably be tempted to wander off the main route. 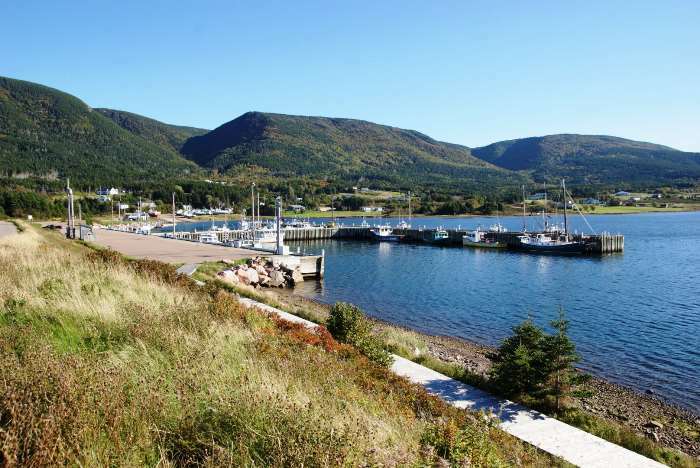 I’d suggest that no road is more tempting than the one that heads north from the Cabot Trail, to the very top of Cape Breton Island, and the community of Meat Cove. 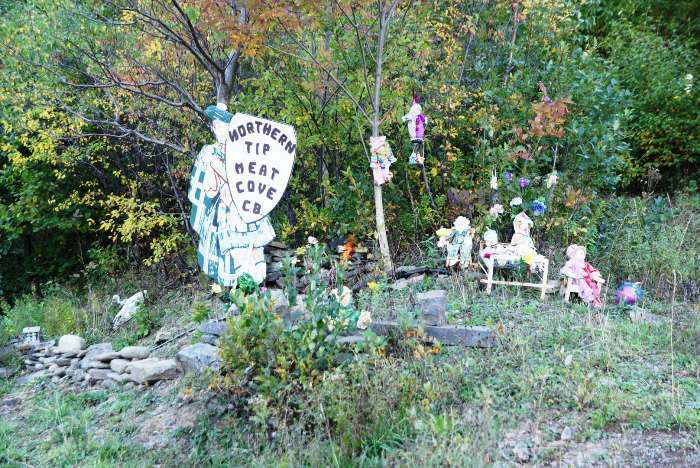 It’s a dead-end road, but there are some great things to see along the way. 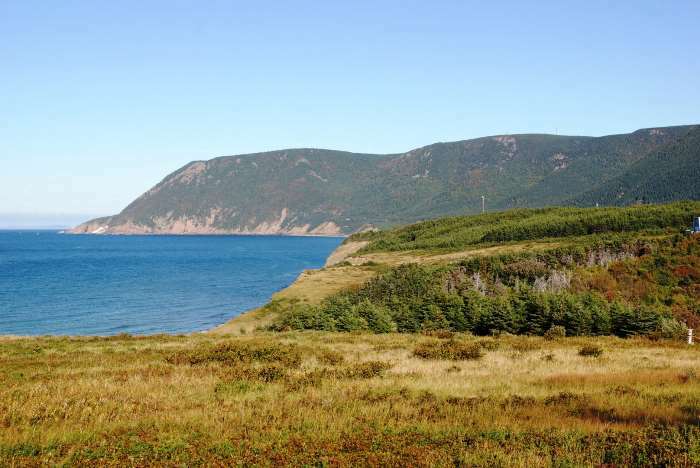 From the community of Cape North, turn off the Cabot Trail onto Bay Saint Lawrence Road. 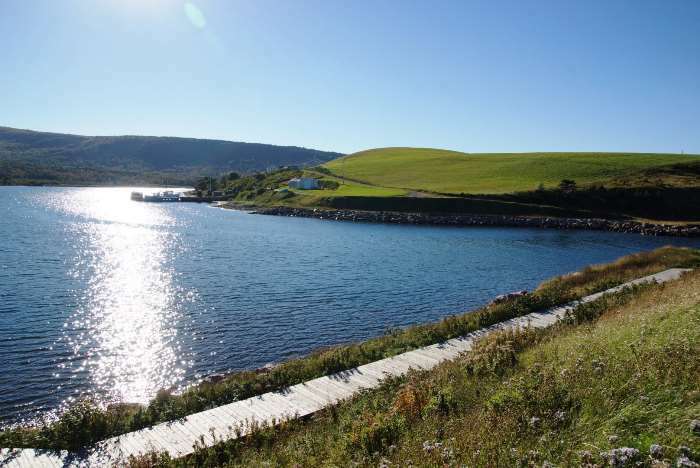 It’s 28 kilometers to the end of the road at Meat Cove. 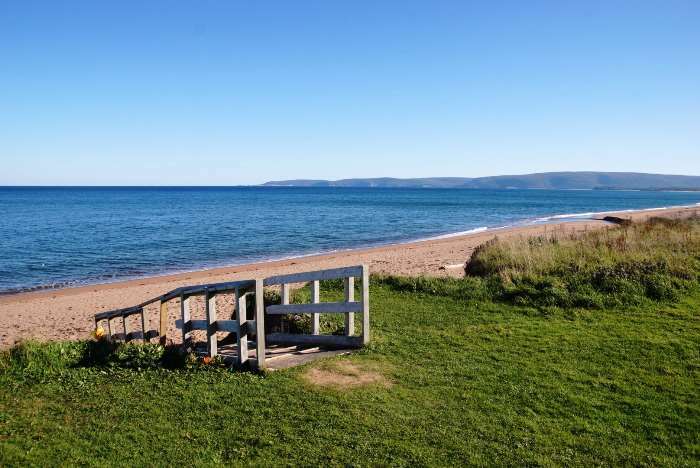 I really needed another day on Cape Breton Island to have the proper amount of time (and energy) to enjoy a drive out to its northernmost reaches. But instead, I tried to squeeze the drive out to Meat Cove into a day that already included a long hike, a long drive, and a long lesson on lighthouse history. I was tired, and needed a good meal, and I just barely had enough time left in the day to make the drive — let alone enjoy it. 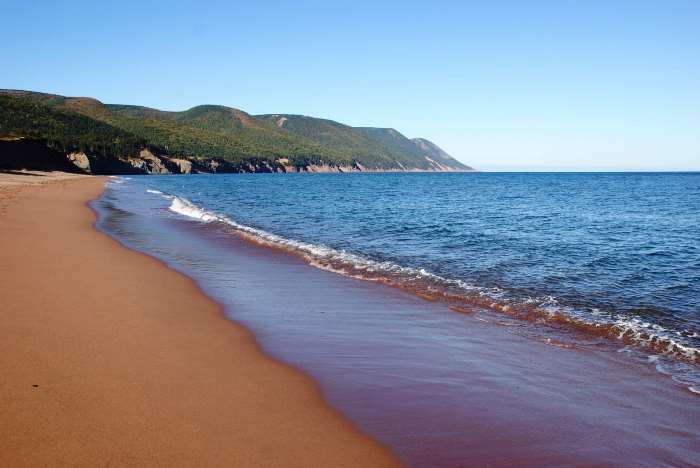 … you’ll find a nice place to access the Atlantic coast at Cabot Landing Provincial Park. It’s a wide-open stretch of beach, bookended by mountains that rise out of the ocean. You can park here and walk down to the beach, and then stroll up and down the coast for a while in either direction. … and as the plaque indicates, he discovered the continent of America. 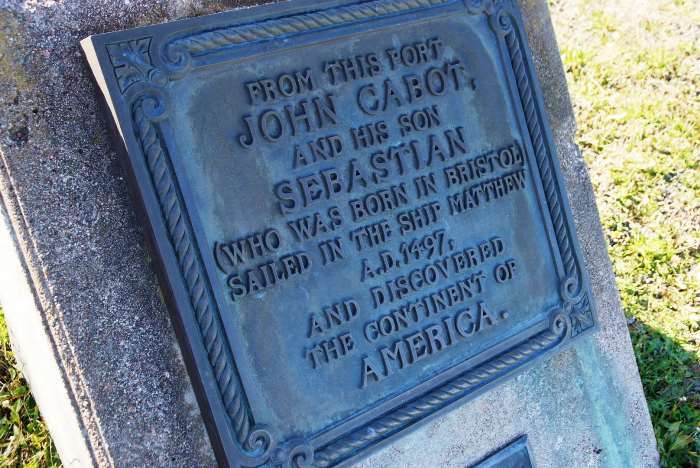 Chris Columbus and a whole lot of Vikings may argue the finer points of that claim, but Cabot’s accomplishment is notable, nonetheless. Leaving the park and heading north, the road stays away from the water for a while, until arriving at the town of Bay Saint Lawrence. … and you’ll probably see a few boats at the docks. This is essentially the end of Bay Saint Lawrence Road (Meat Cove Road split off a kilometer or two outside of town). 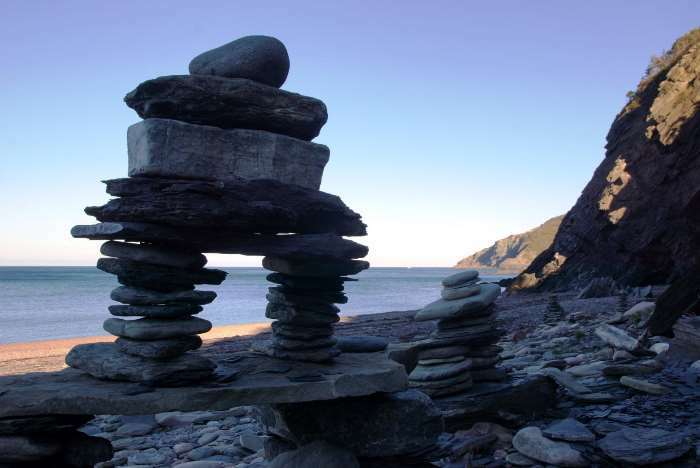 There is, however, a hiking trail that continues on out to Money Point, and while it looks like a long hike on a neglected path, it will take you to an extraordinary stretch of coastal real estate. But, I didn’t have time for that. 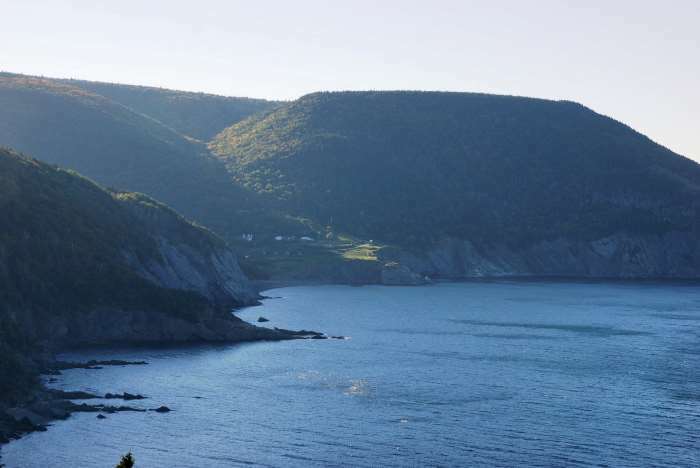 I was in a hurry to squeeze Meat Cove into the dwindling portion of my day. … and a well-placed barn and Canadian flag. I think this is around the community of Capstick. 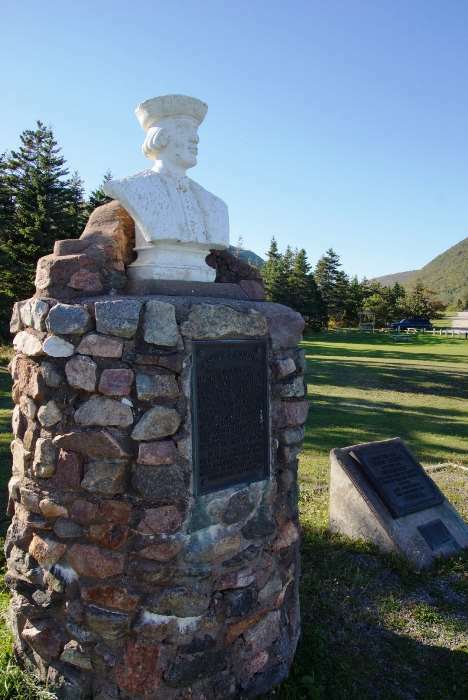 … the community of Meat Cove will come into view. Maybe you can see a few little buildings on the side of the hill. That’s most of the town. 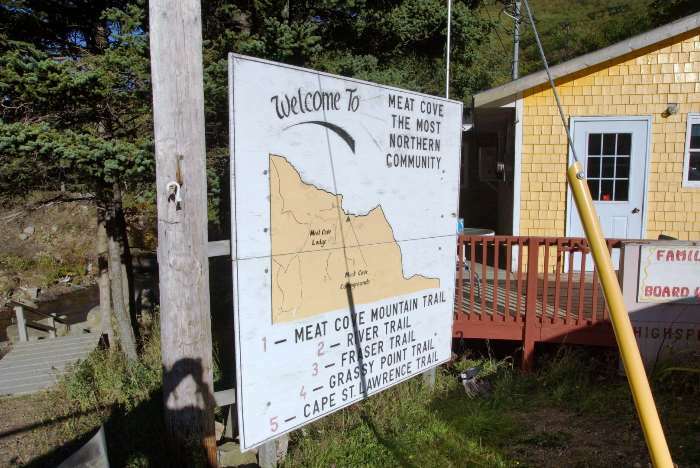 You officially enter Meat Cove when you reach this welcome sign. The sign doubles as a map, showing five hiking trails around town. While the map is somewhat confusing, my B&B host had urged me to visit the chowder house (the building behind the sign) and inquire about the trails. It looked as if the chowder house was closed, or closing, for the day, so I didn’t bother with bothering them. Also, it was getting late, so I decided to take a driving tour of the town instead. Well, that didn’t take long. From the chowder house, you go around a curve, up a hill, around another curve, and you’re at the end of the road. When you see this sign, you can go no further. The road does continue, but it looks more like a rough dirt path into the wilderness (don’t be fooled by how it looks on Google Maps). Make a U-turn, and then head back down to that last big curve. There’s a decent view here, looking down the coast. That picnic table is part of a campsite — there are several places to pitch a tent here, but if you’re not spending the night, you should obey the No Trespassing signs. Notice that tiny beach on the right-hand side of the photo. I found my way down to it, and spent a few minutes walking along the water. It was so late in the day, that most of the beach was already shadowy, and getting cold. There were some nicely-stacked rock cairns on the beach, but it was also littered with junk — pieces of guardrail and car parts. On my way out of town, I realized that Meat Cove Road makes a sharp turn at the edge of the cliff directly above the beach — so I’m assuming at some point, someone missed the curve, and no one ever bothered to clean up the wreckage. Having driven as far north as I could in Nova Scotia, I retreated to Pleasant Bay for another comfy night in my B&B. It had been a long day, and I had earned it. 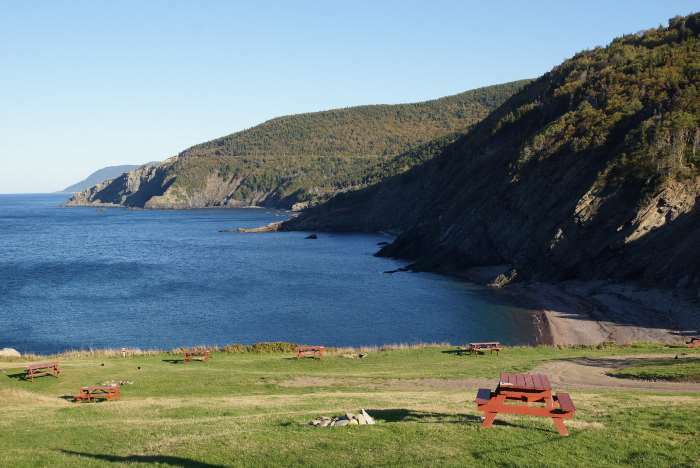 I’m not sure that the drive out to Meat Cove should be high on your list of Cape Breton priorities. 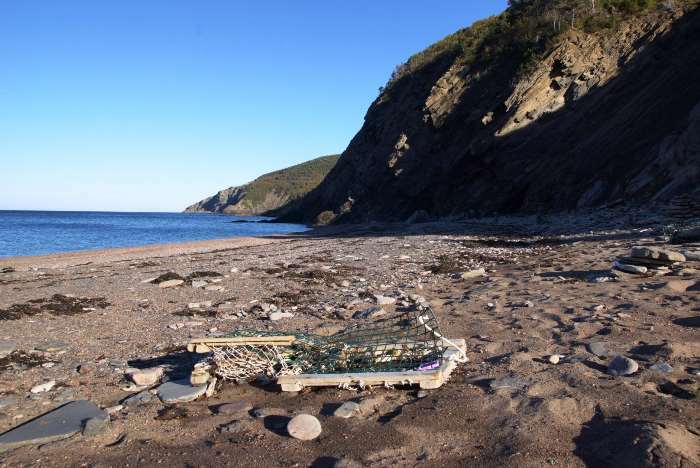 Unless you have a solid plan (and ample time) to hike a trail in Meat Cove or Saint Lawrence Bay, you might be disappointed. 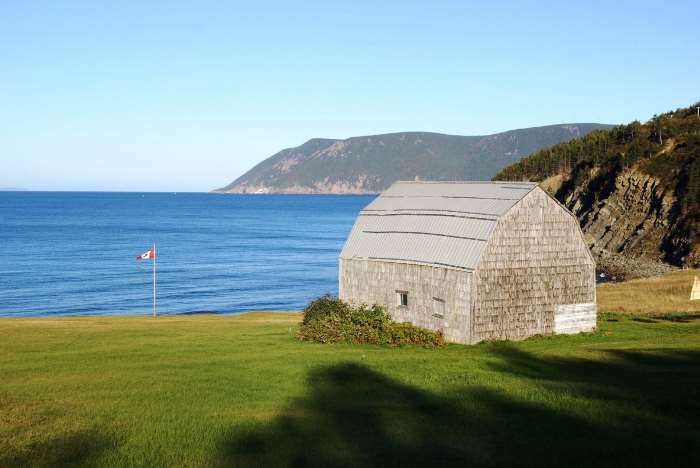 At the same time, though, it seems like a shame to be so close to the northern tip of Cape Breton, and not get there, so you might as well try to squeeze it in.